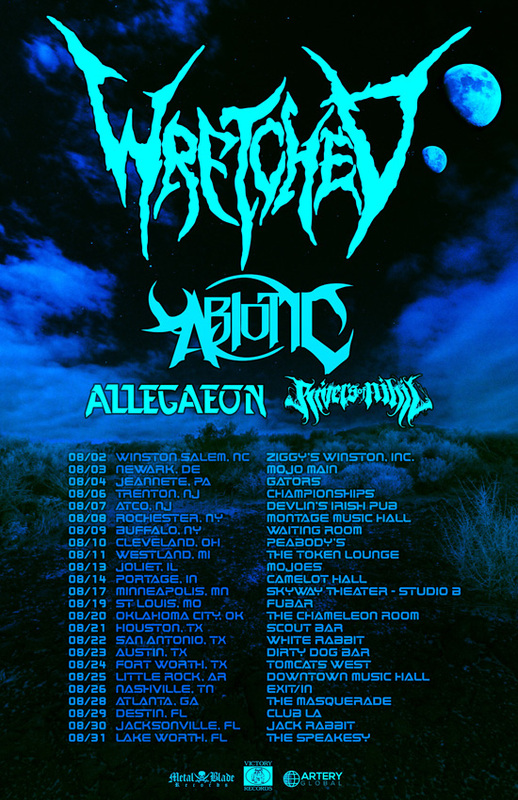 South Florida’s Abiotic have a busy summer touring schedule ahead, beginning with an opening slot on The Summer Slaughter Tour in Lake Buena Vista, FL before meeting up with Wretched, Allegaeon, and Rivers of Nihil for tour dates throughout August. Joining the band as their new drummer will be Aaron Stechauner, who has come in to replace Andres Hurtado. The band has spent the last few weeks rehearsing, and have a released a video of Stechauner performing “The Graze of Locusts” on youtube.com/abioticvideo HERE.